Moviegoers in the Philippines get a rare chance to awaken the king of monsters earlier than anyone else in the world! Warner Bros. and Legendary Pictures have scheduled midnight screenings of Kong: Skull Island on Thursday, March 9 at 12:01AM in participating cinemas across the country. Be the first one to watch the controversial post-credit scene that’s bound to be talked about right after. Tickets to the previews will be at regular admission prices. The public is advised to check with their favourite cinemas for exact details of screening hours and ticket rates. The epic action-adventure then opens wide on Thursday morning March 9 starting at ten am. Kong: Skull Island stars Tom Hiddleston (The Avengers, Thor), Oscar nominee Samuel L. Jackson (Avengers: Age of Ultron), John Goodman (Transformers: Age of Extinction), Oscar winner Brie Larson (Room), Jing Tian (The Great Wall), Toby Kebbell (Warcraft) and Oscar nominee John C. Reilly (Guardians of the Galaxy). 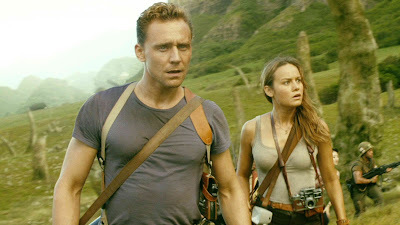 With Kong: Skull Island—and Godzilla before it—the producing team is laying the foundation for a vast, shared universe of monsters, one grounded in our own world but heightened to allow for the existence of MUTOs (Massive Unidentified Terrestrial Organisms, in the “MonsterVerse” vernacular). But to do it justice meant not only orchestrating the collision of two longstanding cinematic mythologies but merging two distinct timelines.